Update: On July 26, 2018 the district court granted the Defendant’s motion to dismiss. It also granted DHS’ motion for summary judgement in part and dismissed it in part. In September of 2018, Plaintiff’s appealed the court’s decision. Read the appellate brief here. Citizens for Responsibility and Ethics in Washington (CREW), the National Security Archive and the Knight First Amendment Institute at Columbia University sued the Department of Homeland Security (DHS) under the Freedom of Information Act (FOIA) on April 10, 2017 for failing to disclose records of visits to the White House and to President Trump at his Mar-a-Lago and Trump Tower residences. The Secret Service, which is part of DHS, maintains White House visitor logs, but has refused to turn them over in response to FOIA requests. Following four lawsuits by CREW, then-President Obama announced in September 2009 that the White House would post the visitor logs online every month, on a 90 to 120-day delay, with limited exceptions. The logs contain the names of each White House visitor, the dates of their visits, and who requested they be cleared for entry. 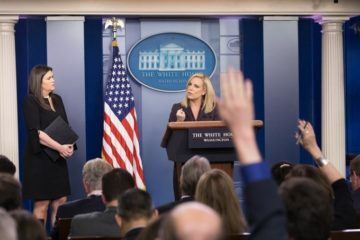 The Trump administration however has deviated from the precedent of the Obama administration and instead refused to release visitor log records. Visitor logs provide meaningful insight into who the president and staff are consulting with on policy matters. Furthermore, these records have proven to be of tremendous value to the public in revealing key information about the potential influences that may shape a president’s decisions and legislative proposals on critical issues. Given the extensive issues with conflicts of interest, outside influence, and potential ethics violations seen in Trump White House, transparency about who the president meets with and, in some cases, seeks advice from is important now more than ever. CREW, the National Security Archive and Knight First Amendment Institute requested two sets of records: the same records released by the Obama White House, and also for the private properties in Florida and New York in which the president has repeatedly conducted official business. Because the Secret Service has failed to respond to requests for records, the three organizations were left with no remedy under the FOIA statute except to sue. The Zero Tolerance Policy of immigration enforcement has shown DHS records management to be severely deficient. 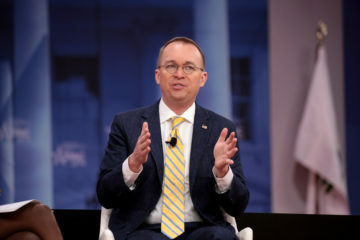 CREW is challenging the CFPB's refusal to disclose records relating to Mick Mulvaney and payday lender World Acceptance Corporation. 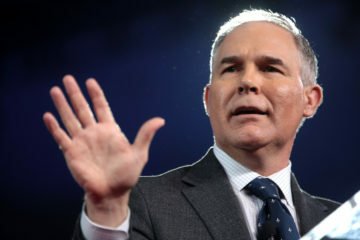 “Under Scott Pruitt, the EPA has assumed a bunker mentality where paper trails are religiously avoided unless penned in invisible ink."